I vow to help you love life, to always hold you with tenderness, and to have the patience that love demands. To speak when words are needed, and to share the silence when they are not. To agree and disagree on red velvet cake, and to live within the warmth of your heart and always call it home. I vow to fiercely love you in all your forms now and forever. I promise to never forget that this is a once in a lifetime love. Life is all about moments of impact, and how they change our lives forever. But what if one day you could no longer remember any of them? Leo (Channing Tatum) and Paige (Rachel McAdams), young happily married couple, got a car accident. After the accident, Paige got a brain trauma and lost her memories. She could not remember her five past years. And she did not remember her husband, either. So, Leo, with all of his tenderness, tried to make his wife to fell in love with him again. Actually, the plot of this movie is very predictable. And the trailer has summarize it all. One thing that makes this movie still interesting is to know Paige’s life before they met and to know how they relationship going. I think Rachel McAdams plays her role well. I love her from the beginning of the movie. She looks beautiful, smart, cheerful and happy. But, after the accident she is become a whiny person which reflect her confusion after the accident and her struggle while try to remember her past years. Love of a lifetime is meant to fight for. Last night, when I am bored and have nothing to do, I saw stacks of unwatched DVD. 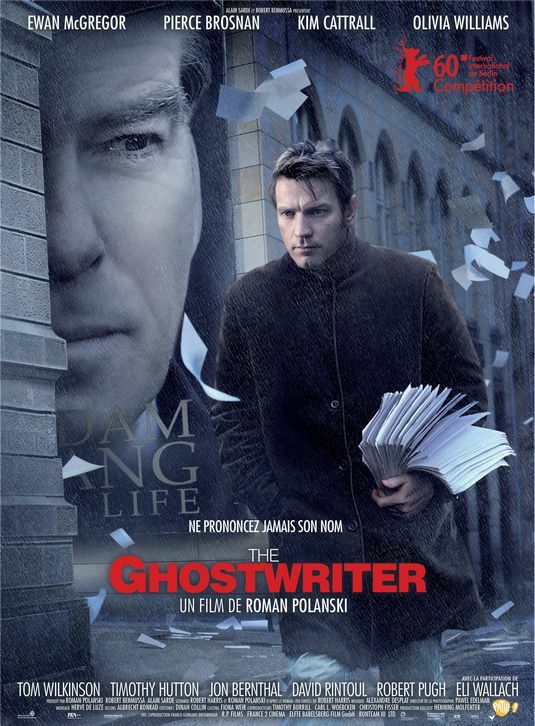 Because of the need to watch drama movie, I decided to watched this one. Life as we know it. Holly Berenson (Katherine Heigl) and Eric Messer (Josh Duhamel) were set up on a blind date by their friends. Their first date was not going well and they started to hate each other. After their friends died in an accident, they have been named as a caregivers to their friends’ baby, little Sophie. Things is not going pretty well at first, but they keep working on it. When everything went better, Messer, which is work on television as a technical sport director, given a work at Phoenix. So, he go to Phoenix and left Holly and Sophie in Atlanta. Meanwhile, Sam, a guy whom Holly met at her bakery, is getting closer to Holly’s life. Yap, we don’t need to watched the movie until the last minute to figure out what is going to happened and how is the ending. Happy ending, like mostly drama movies ended. The story is not so special. Flat flow. There’s no scene that makes me wanna cry so bad or makes me wanna ‘awww’. Just hmm hmm… Not so good, but not bad either. Still tolerable to watch and entertain me without having to think. So, rencananya tadi kita berniat nonton The Expendable yang katanya film action bertabur bintang. Udah semangat 45 mau ketemu Jason Statham ternyata studionya penuh sampai tengah malam. wth! Kemaren ini saya menonton Letters to Juliet bersama ketiga teman saya — Ina, Lala, dan Adit (yup, aneh memang.. ada pria di rombongan nonton kami! padahal filmnya drama, hahaha). Kita nonton di Plaza Semanggi 21 yang cuma ada film itu dan Eclipse. 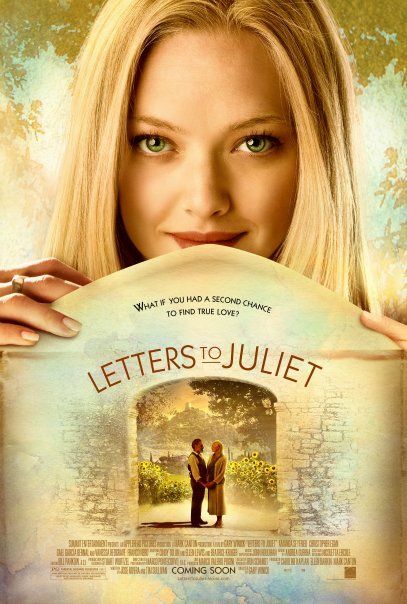 Lagipula hari ini adalah hari terakhir penayangan Letters to Juliet di bioskop di Jakarta dan sekitarnya. Film ini bercerita tentang Sophie (Amanda Seyfried) yang lagi jalan-jalan ke Verona ama tunangannya. Tunangannya yang seorang koki restoran sibuk mencari truffle khas Italy dan ikut pelelangan anggur. Di tengah perjalanan sendiri di kota Verona, Sophie sampai ke suatu tempat yang disebut House of Juliet, rumah legendaris di mana kisah Romeo & Juliet bermula. Sekarang, banyak wanita dari belahan dunia berkunjung ke tempat tersebut, mereka menuliskan surat tentang masalah cinta mereka, dan menempelkan surat tersebut di dinding. Terdapat beberapa orang relawan yang menamakan diri mereka Secretary of Juliet. Mereka mengumpulkan surat-surat tersebut di sore hari dan membalasnya satu per satu. Daripada liburan bengong bengong geje, akhirnya Sophie membantu Secretary of Juliet untuk membalaskan surat-surat. Secara tidak sengaja, Sophie menemukan surat dibalik batu dinding. Surat tersebut dikirimkan oleh Claire, 50 tahun yang lalu! Akhirnya surat itu pun di balas. Suatu hari, ada seorang pria bernama Charlie datang ke tempat Secretary of Juliet untuk menanyakan sebuah balasan surat yang ternyata ditujukan untuk Claire yang merupakan neneknya. Akhirnya dimulailah perjalanan untuk mencari Lorenzo, pria dalam surat yang dituliskan Claire.